AADHANIK SAHAYOG SAMITI is located in MADHUBANI Bihar . AADHANIK SAHAYOG SAMITI is registered as a Society at PATNA of state Bihar with Ngo unique registration ID 'BR/2013/0065972' . 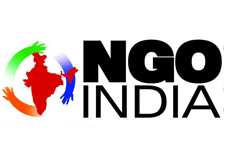 The NGO registration is done by Registrar of Societies with registration number 172/2003-04 on the date of 20-05-2003, Its parent ORganaisation is others. The Chairman of AADHANIK SAHAYOG SAMITI is UDAY JHA and Chief functionary officer is MADAN THAKUR. SHG FORMATION AND TRAINING MICRO INSURANCE AND MICRO FIANANCE ETC.